The days of on-orbit servicing, or satellite servicing, living in obscurity are over. On February 7, Orbital ATK, Inc. and their subsidiary Space Logistics LLC, filed a lawsuit in the Eastern District of Virginia to stop the U.S. Defense Advanced Research Projects Agency (DARPA) from awarding Space Systems Loral (SSL), a subsidiary of Canada’s MDA, a contract to to develop satellite servicing of spacecraft in geostationary orbit (GEO) for the Robotic Servicing of Geosynchronous Satellites (RSGS) program. 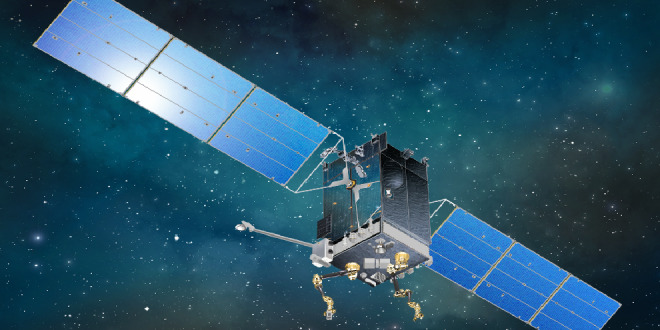 Both Orbital ATK and MDA, through SSL, have been pursuing satellite servicing technology development and eventual contracts, both government and commercial, for many years. 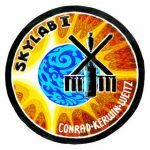 The roots of satellite servicing can be traced back to at least 1973 when Skylab was launched on May 14 and immediately encountered a problems once it reached orbit. Neither the micrometeoroid shield or the solar arrays had deployed. On May 25, the first Skylab crew launched and brought with them a repair kit allowing the astronauts to fix the problem. The era of satellite servicing had begun. In 2010 NASA’s Goddard Space Flight Center which has been working on satellite servicing on behalf of NASA, released the detailed On-Orbit Satellite Servicing Study – Project Report which does a good job of discussing the history of satellite servicing. That report included DARPA’s Orbital Express mission of 2007 which is noticeably absent from the Factual Background of the complaint. From a commercial perspective one of the earliest ventures was led by Walter Andersen who co-founded Orbital Recovery Corporation in 2002 with Phil Braden, Alex Polman, and Dennis Wingo. Ahead of their time, their project floundered when Andersen was arrested for tax evasion. Fast forward to 2010 when MDA began publicly discussing satellite servicing. It’s initiative, called Space Infrastructure Servicing, included Intelsat as its “anchor” tenant as announced in 2011. However, the initiative never took flight as MDA couldn’t get enough commercial customers, and at the time hadn’t acquired SSL yet, leaving them with no real avenue for U.S. government contracts, including the Department of Defense. MDA never gave up on the idea and when it acquired SSL in 2012, it was able to revive its efforts and has been building up its effort ever since. Before Orbital and ATK merged, ATK was already pursuing satellite servicing. On January 13, 2011 they announced a new venture with U.S. Space LLC for Vivisat with its Mission Extension Vehicle (MEV). Several years later, and after Orbital and ATK have merged, their subsidiary Space Logistics LLC, is tasked with their satellite life extension efforts. Meanwhile MDA, through its subsidiary SSL, was awarded two contracts in 2016 related to satellite servicing. MDA US Systems, a division of MDA managed by SSL, received a contract from DARPA to design and build a robotic arm flight hardware for the first phase of the RSGS program last summer. The work is being done for the U.S. Naval Research Laboratory, which is the prime contractor. Then in December NASA’s Goddard Space Flight Center (GSFC) yesterday announced that SSL had won a $127 million contract to develop the Restore-L Spacecraft Bus. The complaint goes on to say DARPA is violating the National Space Policy of the United States of America, an Executive Order of then-President Obama on June 29, 2010. DARPA for its part has existed since 1957, the year the then U.S.S.R. launched the first satellite, Sputnik, “to make pivotal investments in breakthrough technologies for national security”. The lawsuit was filed before the DARPA had officially made the announcement that they were going to award the contract to SSL. According to the Washington Post, who first reported the story, DARPA had posted and then removed notification of the award and that the contract was worth US$15 million. If accurate, the US$15 million investment seems to be a far cry from the “hundreds of millions” stated in the complaint. However, DARPA, if the initial technology demonstration is successful, could award SSL, a follow on contract worth substantially more. The official announcement of the DARPA RSGS contract came on February 9, two days after the lawsuit was filed. It’s clear that for MDA, this venture is meant to lead a new business segment for the company. SpaceQ asked for comments from Orbital ATK and MDA. While the contract with Intelsat will allow the Orbital ATK MEV-1 spacecraft to dock and move an Intelsat satellite, it does not include the other technology demonstration abilities that the DARPA RSGS mission has. That technology demonstrations, other than moving docking and moving, includes; high-resolution inspection, refueling, correction of mechanical anomalies, and installation of attachable payloads, enabling upgrades to existing assets. For its part, Orbital ATK contends that it is working on inspection, repair and in-orbit assembly as future technologies for the MEV. The backroom politics of this complaint can’t be ignored, not in an era of a President Trump administration that seemingly negotiates by Twitter. The complaints first paragraph is purposefully incendiary. It states “DARPA unlawfully intends to waste hundreds of millions of U.S. taxpayer dollars.” Those are words you might hear from the President Trump administration utter when trying to cut a program or costs. And while DARPA is the defendant, SSL stands to lose the most if judgement is issued in Orbital ATK’s favour. What he fails to say is that even though SSL is now a subsidiary of MDA, the work will be done in the U.S. and the funds will be spent in the U.S. SSL, based in Palo Alto, California, was founded in 1957 and is celebrating 60 years as U.S. aerospace manufacturer. Orbital ATK is based in Dulles, Virginia and the lawsuit will be heard in Virginia. Advantage Orbital ATK, as they are “inside the beltway”. Ultimately the outcome of the lawsuit should be based on the merits of the case. The fact that DARPA went forward with the contract announcement suggests they feel confident in what they’re doing. In the meantime, satellite servicing and its potential lucrative payout down the road need not live in obscurity anymore.